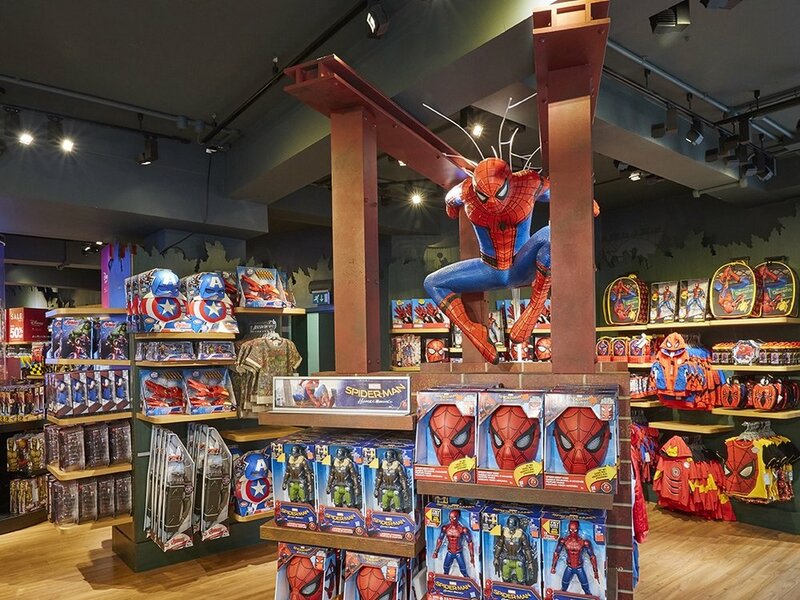 In support of the movie release, Propability were tasked by Disney to create a practical fixture that would hold plenty of stock as well as allow for a photo opportunity. In addition, the fixture had to be versatile enough to come apart and be reused in-part elsewhere in the store at another time. 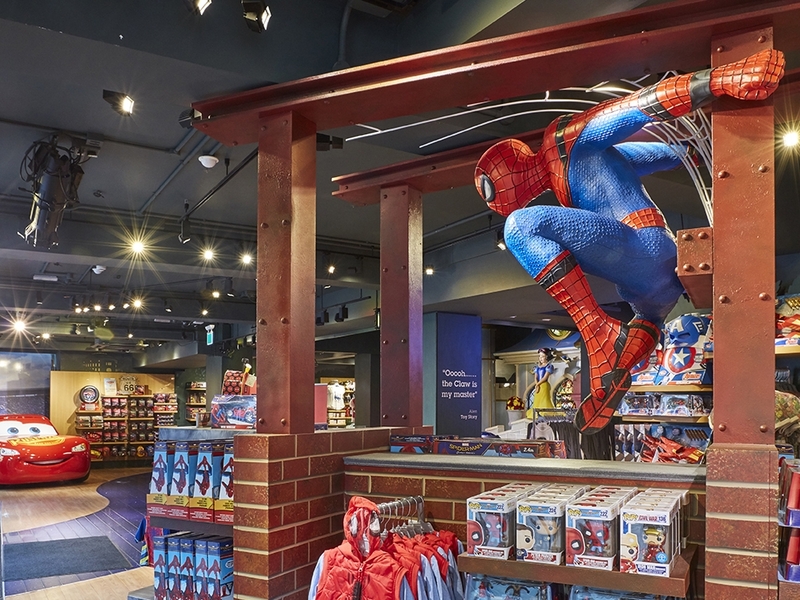 The existing in-store sculpt was repainted to emulate the latest Spider-Man costume and the fixture finished to emulate a city building with scenic-painted brick work. 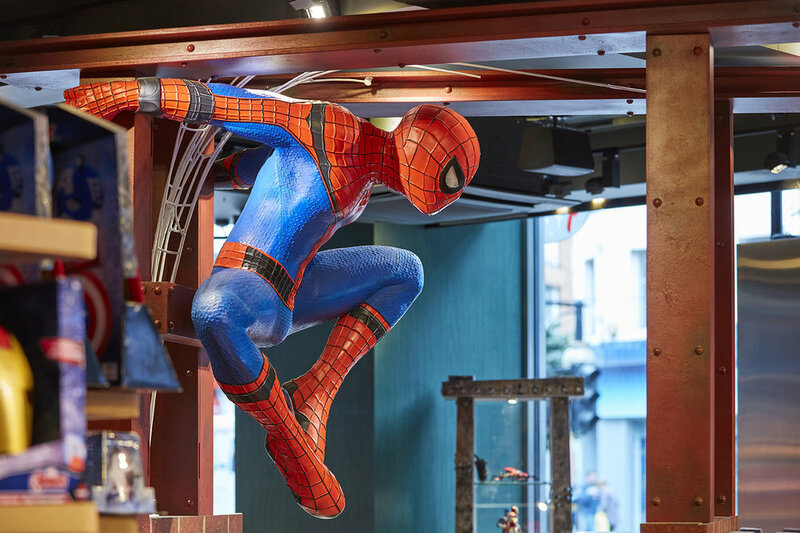 Finally, a bespoke web was created in our metal-work shop designed to fit perfectly to the various girders of the fixture.